*HIGH* Value Make Up Coupon!! - What Does Face Product Really Mean? UPDATE: Blush and Sponges are included = MONEY MAKERS at almost every store, including Walmart!! This Sunday, across the nation hundreds of thousands of ecstatic women will awake to find an amazing $8.00/2 CoverGirl Face Product coupon in their P&G Coupon Insert. My first reaction to hearing about it was complete amazement and that "drug free" high feeling I'm always talking about. 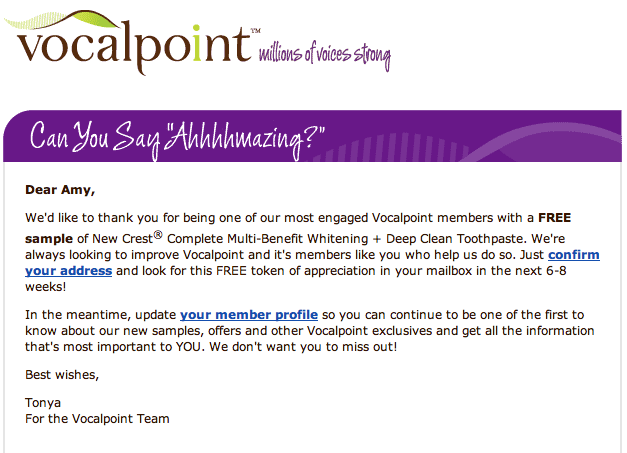 :) My next thought was how much this coupon will unknowingly be used improperly by a lot of those same shoppers. It's not like couponers are doing anything unethical in this situation - it's really CoverGirl's fault, but shoppers are going to end up looking like we're cheating when the coupon likely won't be accepted and beeps at the register! 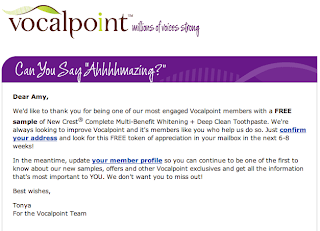 Many of us will be denied the ability to use the coupon because it won't scan. So, I thought I'd explain what types of products these coupons are really intended for so that, hopefully, no one gets frustrated on this one. 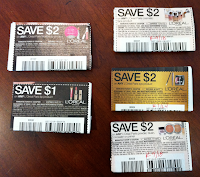 If you check your coupon binder right now, you'll notice several current Loreal Cosmetics coupons. 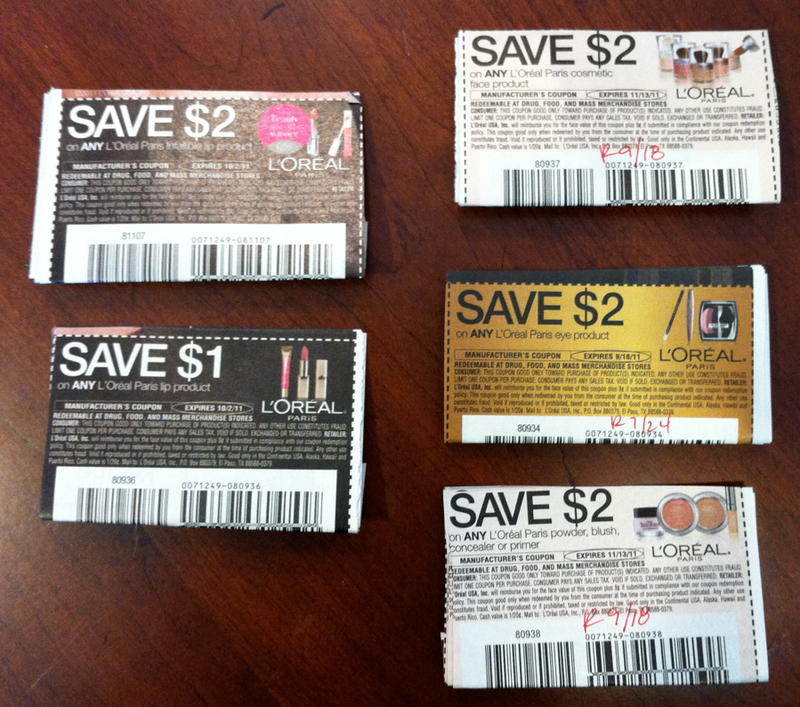 All of these coupons seem pretty obvious as to their intended product for purchase, except the last coupon; Face Products. Umm, that's the only place I wear makeup. It's not like I wake up in the morning and put mascara on my fingernails! Makeup, for most of us ;) is only worn on our faces so it makes logical sense that Face Product coupons should cover the entire line of L'Oreal cosmetics in this case - but it actually doesn't. 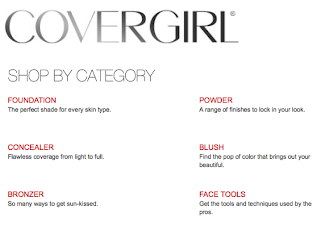 "Face Product" cosmetic coupons usually refer to foundation type cosmetic products, powders, blush and concealers. Most times if you try to use these coupons on eye shadow or lipstick, the register will beep and reject your coupon because that's not what the manufacturer intended for you to buy. I think they should definitely be more specific on the product that they want shoppers to buy, but unfortunately they don't always do that. 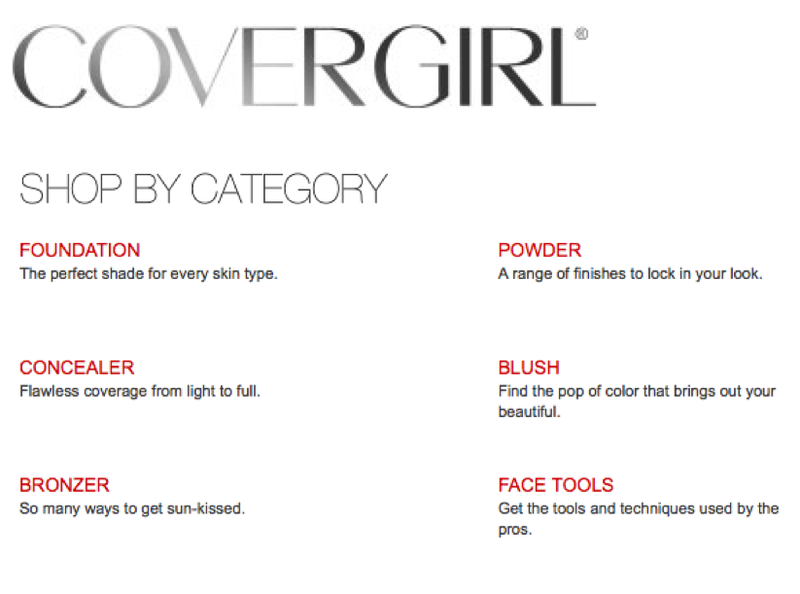 The $8.00/2 CoverGirl coupon will still make for some amazing deals - even FREE makeup!!! Just be prepared to use the coupon on Face Products ONLY for the best results. 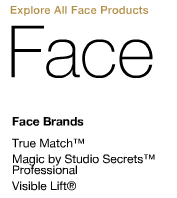 (Each Manufacturer can differ on what they term "Face Products". This is a YMMV situation.) I'll try to do some test buying next week and see what products this coupon can be accepted on. I'm thinking it should scan on facial sponges, puffs and other Face Product applicators as well. If so, that means you could make money at Walmart on the overage. I'll keep everyone updated. 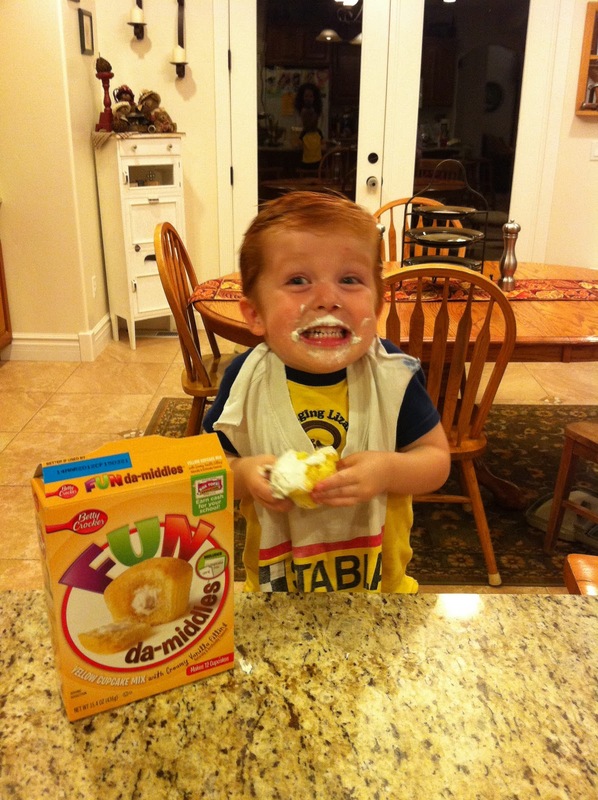 WINNER UPDATE: Congratulations linsabeth@gmail.... - Have fun with these awesome cupcakes on your child's 1st birthday! Please email me your name and address so I can get your prize mailed out to you! And don't forget this *HOT* $0.85/1 Fun Da Middles Coupon!!!! The Corporate Downsizing of America - Every Ounce Counts! The shelf tag still reads 11 oz. but is suddenly a 9 oz. bottle! The latest in corporate downsizing has just hit the market! 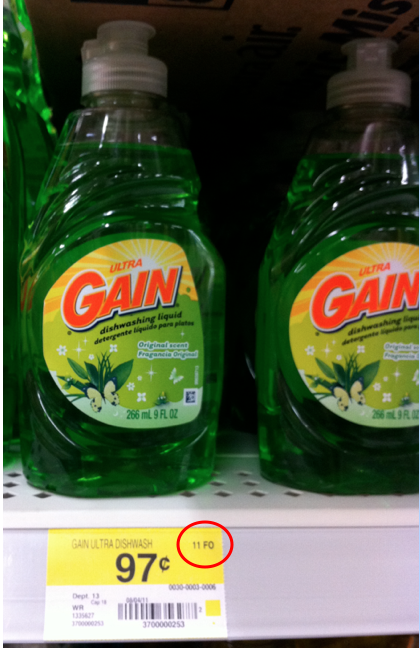 That's right, Gain Dish Liquid is now wanting shoppers to forget that they used to sell 11 oz bottles of Gain at Walmart but now magically, just days later, the bottle has mysteriously lost 2 ounces. Well, it is on sale for less money of course - NOT! That's right - the new and unimproved 9 oz Gain Dish Liquid, is still selling for the original asking price as the 11 ounce bottle. WHAT THE................. ? This is why brand loyalty can cost shoppers more than they imagine! I think manufacturers, and retailers alike, are hoping repeat brand loyal customers will carelessly grab their trusted favorite brand right off the shelf without even noticing the shrinkage. Now, I understand the market isn't so great right and that manufacturers and stores need to drive revenue to survive. I just think they ought to both be up front about it. I still won't be happy (Netflix), but at least I won't feel lied to! I was reminded this week as I was rotating my food storage how much every ounce counts. As I put my groceries away after a great week of shopping, specifically some Scrubbing Bubbles cleaner, I noticed that my 25-ounce can had mysteriously shrunken to only 22 ounces. Where did my extra 3 ounces go? No, it wasn’t a specially marked can with an extra 15% included for free and it wasn’t any type of special buy – it was just gone! My 3 ounces had vanished without a word from SC Johnson or anyone else. Package sizes are becoming smaller, but prices aren’t and The Great Shrink, as I call it, has actually been happening for years. Manufacturers, faced with a difficult economy have two choices, raise prices or reduce package sizes. Both money-saving methods are in practice today, but smaller package sizes aren’t readily noticed by consumers. You may recall the Dreyers ice cream fiasco of 2008, when cartons dropped from 1.75 to 1.5 ounces, much to consumers’ chagrin. "Downsizing is nothing but a sneaky price increase," says Edgar Dworsky, former Massachusetts assistant attorney general in the Consumer Protection Division. "I'm waiting to open a carton of eggs and see only 11." Everything from Dial bar soap to Rice A Roni, Country Crock spread to Lays potato chips has seen size reductions in the past few years. 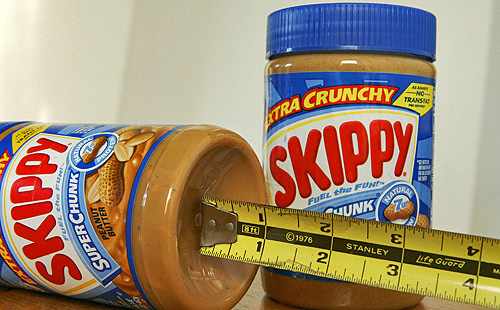 And check out the “dimple” under your Skippy Peanut Butter jar; somehow it’s growing! Many shoppers cringe at the thought of computing, either by calculator or brainpower, the cost per ounce on their grocery purchases each week. While these calculations may bring a slight increase in shopping time — size matters. More than ever shoppers need to know what they’re purchasing and at what cost. One thing to consider in deciding whether or not you have the time to bother with price-per-ounce costs is that nowadays many major grocer and retailers often do the work for you. Shelf tags today often list ounce costs for shoppers; no calculating required. If unit costs aren’t already listed, a small calculator tucked in your purse or coupon organization system will do the trick. And practically every cell phone on the market has a calculator application. I keep my phone in calculator mode during every shopping trip for some easy math. Plus, there’s the added benefit of becoming a math whiz for all the adding, subtracting and multiplication you’re doing in your head. In reality, price-per-ounce cost computing takes only seconds but can equal real savings. Lastly, remember, bigger isn’t always better. The bigger the box doesn’t necessarily mean bigger savings. Just because you can buy cereal in 10-pound boxes at warehouse stores doesn’t mean your price-per-ounce costs are any kind of real savings. And, if you’re planning on using coupons to reduce your out-of-pocket expense, your savings will best be applied to the smallest packages allowable. In fact smaller boxes are almost always the bigger savings when using coupons. So now I’m faced with the choice to clean only 85 percent of my bathtub in protest or buy more Scrubbing Bubbles. 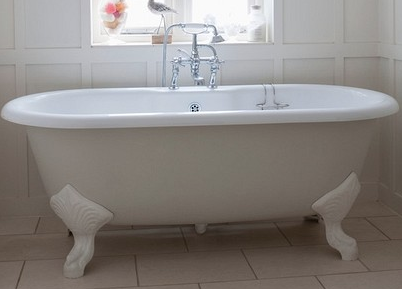 And while I’d definitely like less housework, like the rest of America I’ll just have to buy more – as I echo in a loud and bellowing voice with hands clenched, “Curse you, scum!” (That is unless my husband wouldn’t notice that his half of the tub still has a ring?). America may have to endure The Great Shrink for a while yet, but arming ourselves with per-unit costs can help shoppers make wiser purchases and smarter buys for their money. 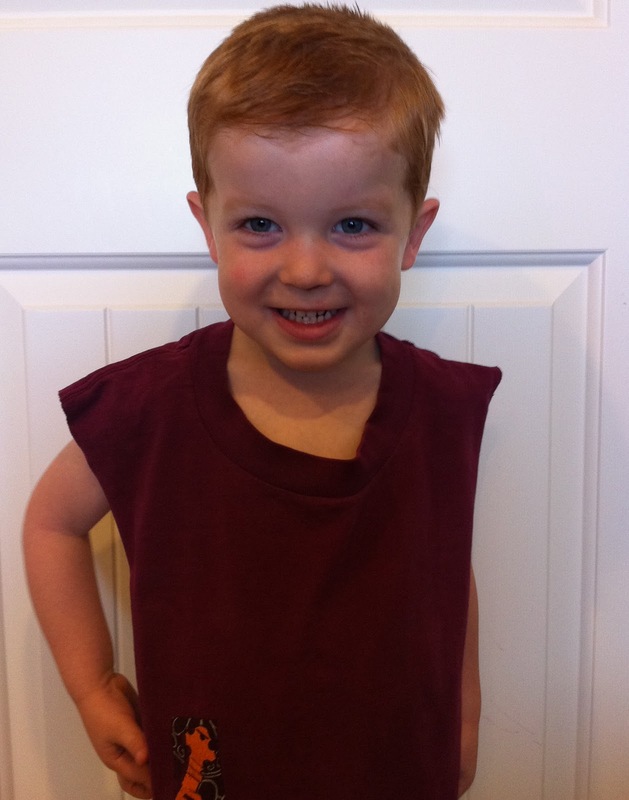 Cayden and his favorite t-shirt bib! It's time for a new one! I think bib makers must be delusional when they make them so stinking small! Maybe babies drool directly under their chins, but toddlers skip that whole neck region and go straight for spilling down their round and protruding little bellies! Yep, my little 3 year old has perfected the art of spilling most anything red down the front of his white Sunday shirt and into his lap whenever possible and all while avoiding the little bibs meant to protect his clothes and mother's sanity. So at our house we use recycled t-shirt bibs (when we remember to put them on before Sweet Cayden gets to the food that is!) These bibs were actually my Macgyver husband's idea so kudos to you sweetheart! 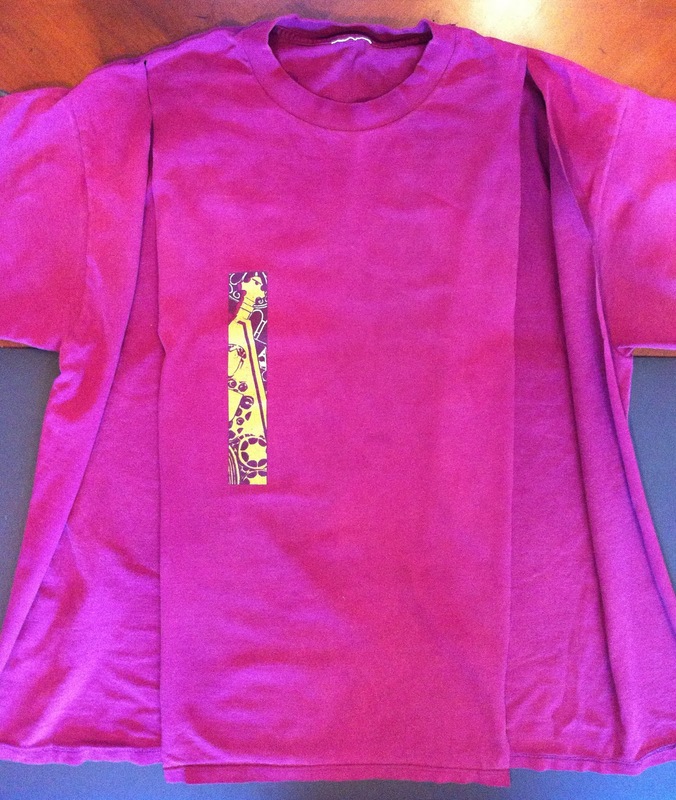 All it takes to make these is some sharp scissors and an old men's t-shirt. 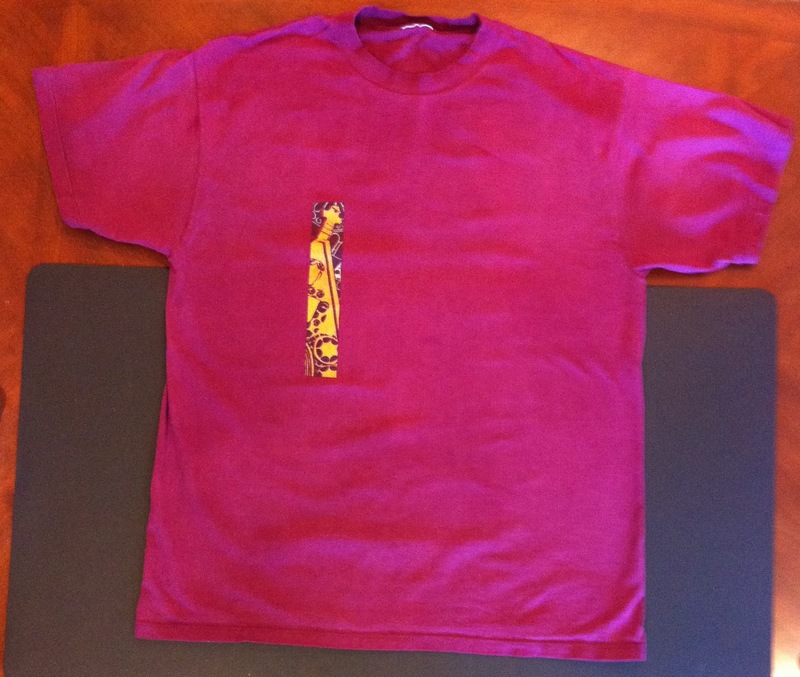 Step 1: Trim front sides of t-shirt to desired width. I usually leave 4-5 inches to cover my kids shoulders as well as their bellies! Don't worry about cutting super straight lines as the edges of the shirt will curl once cut and washed. 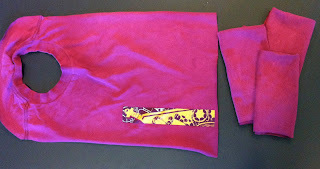 Step 2: Cut away the excess back and arms of the shirt, rounding the back collar approximately 2-3 inches long. 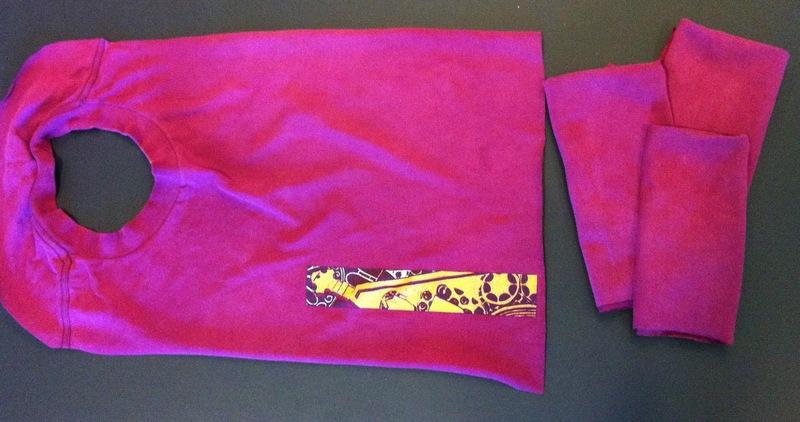 Step 3: Trim bottom of t-shirt to desired length. 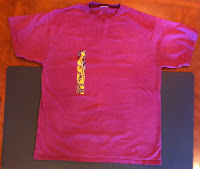 Step 4: Cut remaining t-shirt into household rags. I can make these bibs to perfectly fit each of my children and I'm simply utilizing things I already have in my home. They may not be elegant dinner party ware, but they do the job day to day and save me laundry headaches every time we use them PLUS Free cleaning rags! 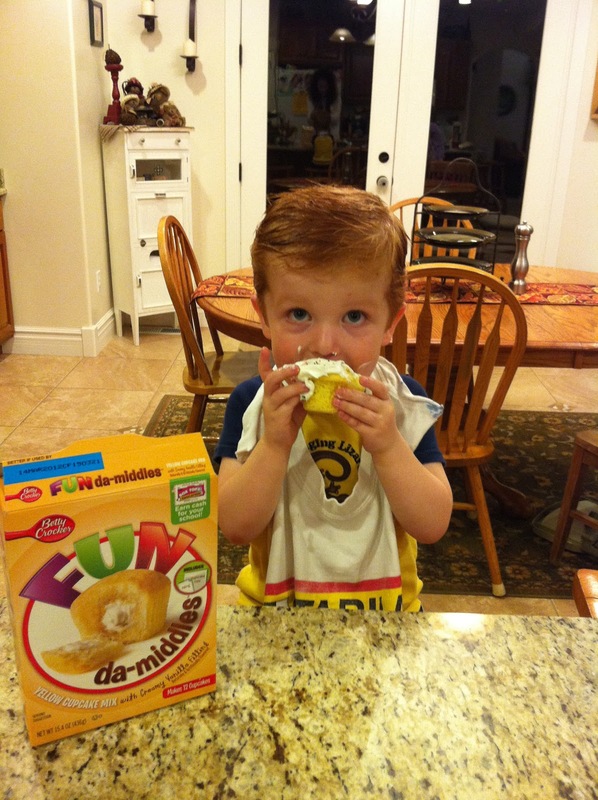 WINNER UPDATE: linsabeth@gmail.... - Have fun with these awesome cupcakes on your child's 1st birthday! Please email me your name and address so I can get your prize mailed out to you! 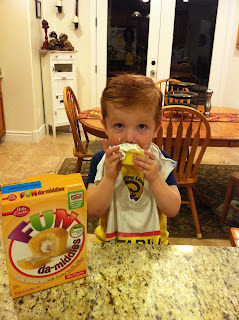 This week I had the opportunity to try a new and exciting product on the market - Betty Crocker Fun Da Middles. I'd been wanting to make these innovative treats and was thrilled when I was sent a free mix, muffin pan, cupcake liners, hot pad and cupcake liner notes to try! 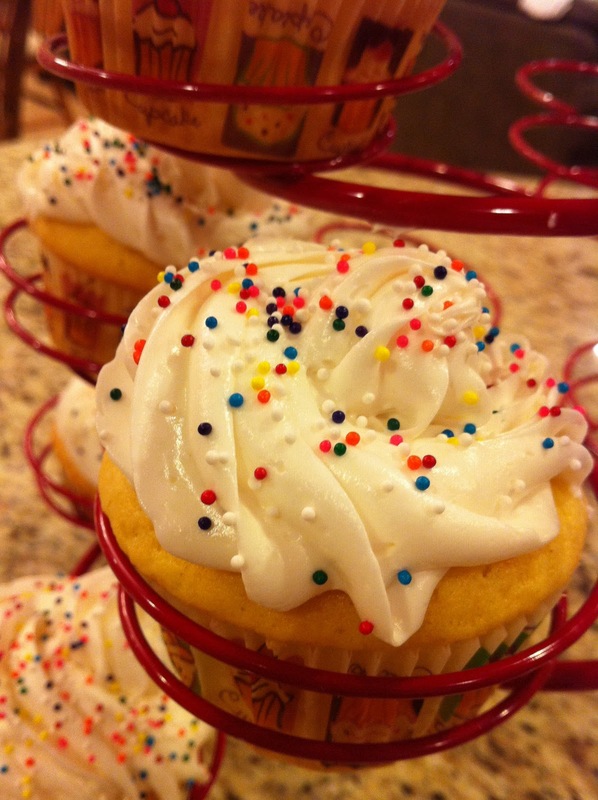 To say these ooey gooey cupcakes were a hit with my kiddos is an understatement for sure, and so easy to make. My cupcakes turned out EXACTLY like the ones pictured on the box - gotta love it! Baking Betty Crocker Fun Da Middles is a breeze! 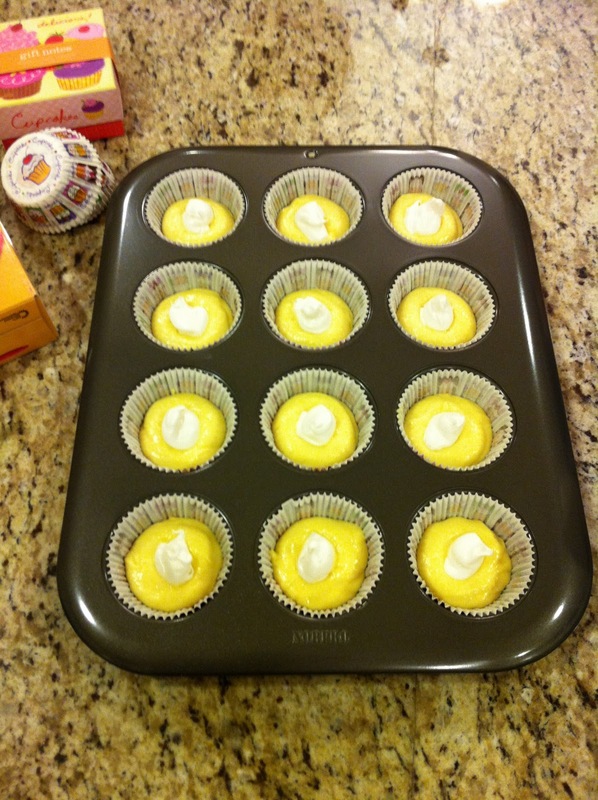 Just prepare the batter, like any other cake mix, and fill 12 muffin liners 1/3 full. Next, squeeze filling mixture 20 times (the kids though this was fun!) 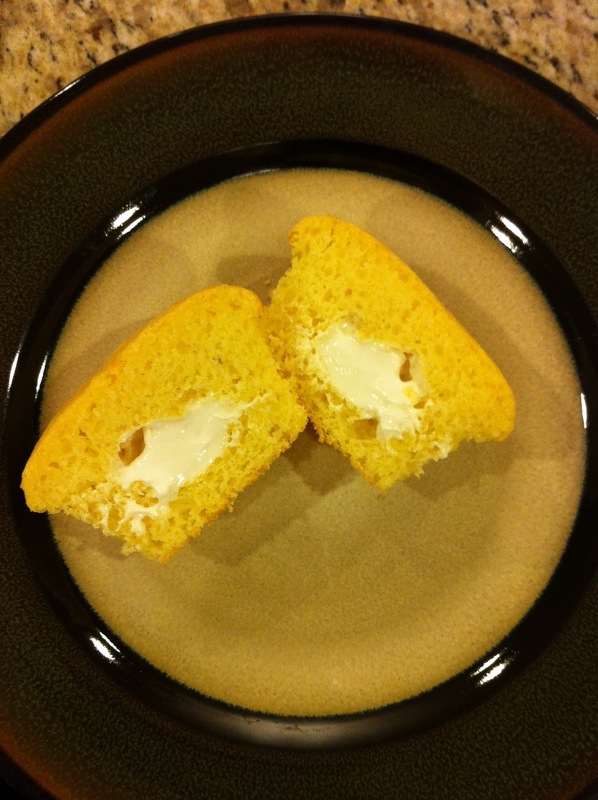 and then cut open the corner of the package and divide between the cupcakes. 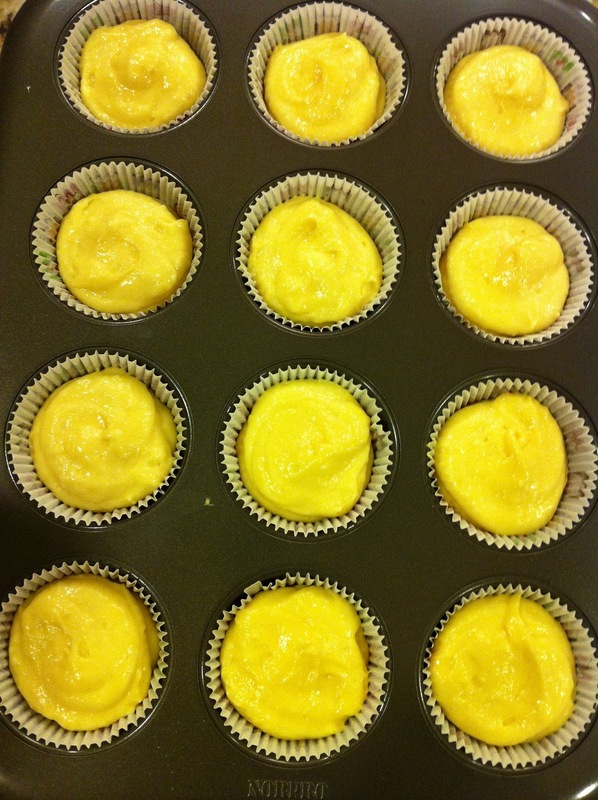 Then top the cupcakes with the remaining batter, making sure to cover the filling. 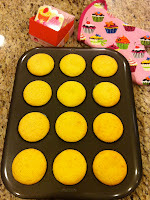 Bake as directed and voila - perfect Fun Da Middles! 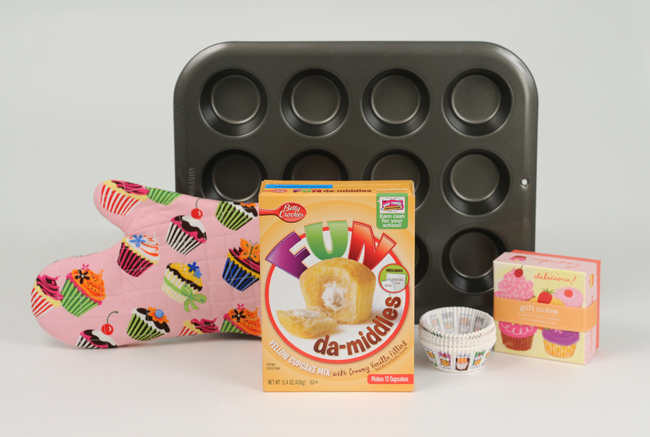 And check out this *HOT* $0.85/1 Fun Da Middles Coupon or the Fun Da Middles Facebook Page! And guess what? 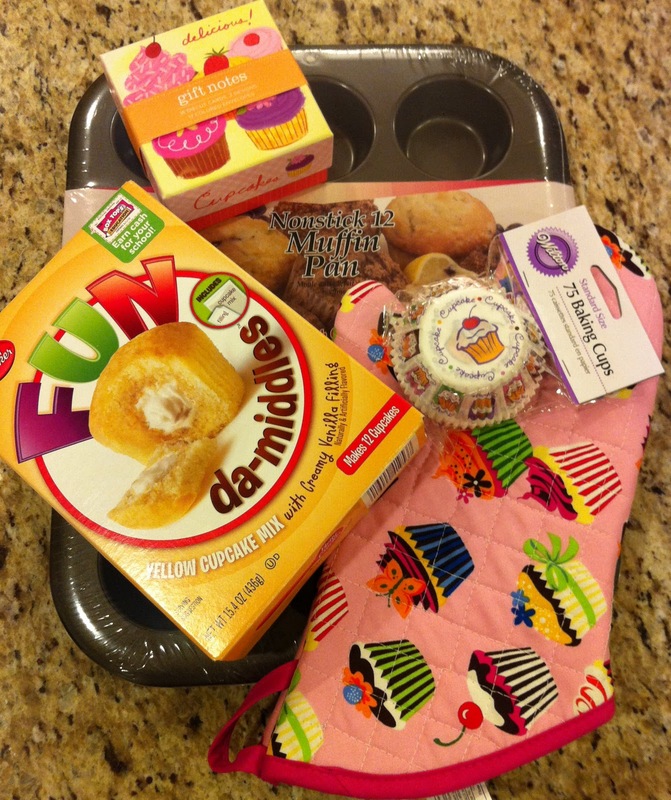 I have another prize pack just like mine to give away!!! Wanna win? Disclosure: The Betty Crocker Fun da-middles product, information, and giveaway have been provided by Betty Crocker through MyBlogSpark. All opinions written are my own.